Are you thinking of purchasing a new or new-to-you luxury sedan, coupe, or SUV at our Mercedes-Benz dealership in Northbrook, IL, but want to know how much your auto loan payments will be before you commit? It’s easy to find out the monthly cost by using our automotive payment calculator tool below. Just fill in the price of the vehicle you are interested in, as well as the interest rate and length of your auto loan, the amount you plan to put down at purchase, and the value of the vehicle you are trading in. Once you’ve seen your monthly payment estimate, apply for auto financing. 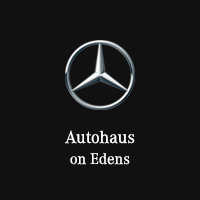 If you have any questions regarding our car payment calculator or any part of the finance process, give the finance experts at Autohaus on Edens a call at (847) 272-7900.